Check out YouTube - IS IODINE-131 KILLING BABIES IN PHILADELPHIA? All around the world, a lot of people who thought they were going to be new fathers by today have instead found out they're not -- not this time around, anyway. Infant deaths are up alarmingly in a number of cities in AMERICA (and up slightly across the whole U.S.A.) since Fukushima. And we're thousands of miles away, we should be safe, right? But unfortunately, quite probably, the cause IS Fukushima. Wherever it rained radioactive crud heavily, pregnant woman breathed polluted air, drank polluted water, ate polluted food, and lost their (polluted) babies. This has occurred in "statistically significant" numbers. The cause, of course, is especially difficult to prove because the government of Japan has refused to tell the truth about what has been released from the reactors, and because the government of the United States has restricted testing to a a few locations in a few cities. What a day to be reporting something like this, eh? I feel sick. I despise nuclear power, and this is why! For our own babies to have to be the "canaries in the coal mines" for nuclear power ... how sick is that? We MUST stop this thing! Oh yeah, and coal must go, too. NIRS' campaign: No Nukes, No Coal, No Kidding is a good one. And for those on the West Coast: August 7th, 2011, Shoreline Amphitheater, Mountain View, California, a HUGE No Nukes concert!! Get info from NIRS' web site: www.nirs.org . We MUST and we WILL shut San Onofre and all the other nukes! If you have not had a chance to view the recent Fox29 news report on Joe Mangano's research, a link appears below and I don't suggest waiting, since the report was removed from the Fox29 web site already due to "complaints" (from who?) and for all we know, it might be taken down from YT at any moment. This newsletter is being sent "formatted" instead of my usual "plain text" so that Joe's tables (hopefully) come through. A few days ago, I sent many of you a link to the Fox-Philadelphia story on the rising infant deaths in Philadelphia (up 48% since late March) since the fallout from Japan arrived (Philadelphia had the highest levels in drinking water in the U.S.). Sorry to say that the link didn't work, as the station took it down due to complaints. But now it's working, so just click on below. If you want to know more, I've also pasted on a press release and report now getting some coverage, about rising infant deaths in the Pacific Northwest (up 35% since late March), where the highest levels of radiation in precipitation were found. Of course, there is much more study to be done, but this is the first indication that the Fukushima fallout that entered the air and diet - and human bodies - may have harmed Americans. It has been put on You Tube...thankfully. June 7, 2011 – Infant deatths rose 35% in the Pacific Northwest since mid-March, when fallout from the meltdowns at Japanese nuclear reactors reached the U.S., according to data published by the U.S. Centers for Disease Control and Prevention (CDC), and featured in a new report by health researchers. Soaring infant deaths occurred in the region where the highest levels of environmental radiation were found in Environmental Protection Agency (EPA) samples, raising the possibility that there is a link between Japanese radiation and risk of infant death. â€œThe fetus and infant are highly susceptible to harm from radiation,â€ says Joseph Mangano MPH MBA. â€œThe Fukushima meltdowns are still releasing radiation, so trends should be monitored further,â€ he adds. Mangano is Executive Director of the Radiation and Public Health Project (RPHP), a New York-based health research group. He is the author of the new report on Fukushima fallout in the U.S. and infant death trends. The airborne radioactive plume from Japan reached the West Coast on March 17, six days after a powerful earthquake and tsunami caused meltdowns in four reactors at the Fukushima nuclear plant. EPA data shows that most of the highest levels in the continental U.S. of radioactive Iodine-131 (I-131) in precipitation in late March were found in Idaho, northern California, Washington, and Oregon. The two highest precipitation levels found by EPA were in Boise ID (390 and 242 picocuries of I-131 per liter of water, hundreds of times greater than the typical level of about 2). Along with Boise, samples from Richmond CA (near San Francisco), Portland OR, and Olympia WA made up 6 of the 10 highest measurements in the U.S. I-131 is one of over 100 radioactive chemicals found only in nuclear reactors and atomic bombs. Infant deaths reported to the CDC in eight northwestern cities averaged 9.25 per week for the four weeks ending March 19. The average jumped to 12.50, a 35.1% increase, in the following 10 weeks. Cities include Boise ID, Portland OR, and Seattle WA, plus the northern California cities of Pasadena, Sacramento, San Francisco, San Jose, and Santa Cruz. Total U.S. infant deaths increased 2.3% during this time. Infant deaths are published in the CDC Morbidity and Mortality Weekly Report. They are preliminary (final figures are available in 2014), but are often similar to final data. The CDC data can be accessed at http://www.cdc.gov/mmwr/mmwr_wk/wk_cvol.html; EPA data is at http://www.epa.gov/japan2011/rert/radnet_sampling_data.html#precip . RPHP health researchers ( www.radiation.org) have published 27 medical journal articles and 7 books on health hazards of radiation exposure. Their work has been covered by the New York Times, USA Today, CNN, and Fox News. Purpose. This report will present and analyze data on radioactivity levels in the U.S. from the Fukushima nuclear meltdowns, and any changes in health status since this radioactivity entered the U.S. environment and diet. Background. On March 11, 2011, a powerful earthquake and tsunami caused the Fukushima nuclear plant, with six reactors, to lose cooling water (from loss of electricity). Three reactor cores and two waste pools suffered meltdowns. Explosions caused breaches in containment buildings, and high levels of radioactivity entered the environment. The radioactive plume moved east, reaching the West Coast on March 17. Japanese radioactivity in the U.S. is being ingested by Americans through breathing and the food chain. This phenomenon has occurred previously, such as above-ground nuclear weapons tests and the 1986 Chernobyl meltdown. This report examines changes in environmental radiation levels in the U.S., along with changes in health status, since the arrival of the plume in March. EPA System of Measuring Environmental Radiation. The federal government has monitored levels of environmental radioactivity since 1957, during the time of above-ground nuclear weapons testing. Originally managed by the U.S. Public Health Service, this task has been assigned to the U.S. Environmental Protection Agency since 1975. The EPA makes periodic measurements of radioactivity concentrations in air, precipitation, water, and milk. It operates a system known as RADNET, which includes 124 stations in the continental U.S., Alaska, Hawaii, Saipan, and Guam. Historical data beginning in 1978 are available on the EPA web site, and earlier data are also available in hard copy format. After Fukushima, the EPA increased the frequency of their measurements, and on April 5, made 2011 data available in interactive format. However, on May 3 the Agency reverted to its normal schedule of quarterly measurements, claiming recent samples could detect no radioactivity. For March and April 2011, the EPA has made available online hundreds of radioactivity measurements (Table 1). All individual readings can be accessed by visiting www.epa.gov/japan2011/rert/radnet-sampling-data.html#precip . The EPA made measurements of 10 radioactive chemicals only produced in atomic bomb explosions and nuclear reactor operations. The vast majority of measurements did not detect radiation, and were marked â€œNDâ€ (not detectable). The one exception to this general inability to detect radiation was Iodine-131 (I-131). This chemical has a short half-life (8 days), which means it originated from a current source – most likeely a nuclear reactor. It is not clear why the EPA detects I-131 more easily than other chemicals. I-131, like all forms of radioactive iodine, attacks the thyroid gland after ingestion. It can cause cancer and other disorders of the thyroid, which plays a key role in physical and mental development, especially in the fetus and infant. The greatest number of detectable I-131 samples are in air (cartridge method), air (filter method), and precipitation, with 105, 72, and 77, respectively. Unfortunately, the air cartridge samples cover 12 sites, only 4 in the continental U.S., limiting a national analysis. Air filter samples include 13 sites in the continental U.S., just 6 outside California and Florida. Precipitation has the greatest geographic spread of measurements and will be analyzed as a rough proxy for U.S. levels of radioactivity from Japan. Patterns of Iodine-131 in Precipitation. Historical EPA data shows the typical level of I-131 in U.S. precipitation is about 2 picocuries of I-131 per liter of water (pCi/l). This number was determined by measurements at 9 U.S. sites on May 1-3, 1986, just before the plume from the Chernobyl accident arrived over the nation. A picocurie is a measure of radioactivity, and is one-trillionth of a curie. Concentrations of I-131 in 77 EPA measurements in precipitation with a detectable level varied greatly. Some were quite small, while others were much greater than normal, approximating or exceeding 100 times the normal concentration. Table 3 lists the 10 highest individual U.S. levels of I-131 in March and April. Of the 10 highest samples, 6 were from stations in the Pacific Northwest, including northern California, Idaho, Oregon, and Washington. A seventh, Salt Lake City, is not technically part of the Pacific Northwest, but is relatively close to the region. Thus, it is prudent to conclude that this region received the greatest amount of fallout from Fukushima, and thus any changes in health status that might be linked to the Japanese meltdowns would occur there. Trends in Infant Deaths in the Pacific Northwest. The U.S. Centers for Disease Control and Prevention (CDC) has published the Morbidity and Mortality Weekly Report (MMWR) for decades. Since 1993, each edition of the MMWR includes deaths by age group for each of 122 U.S. cities with a population of over 100,000. The MMWR is available at http://www.cdc.gov/mmwr/mmwr_wk/wk_cvol.html. The MMWR report on deaths has certain limits. It only represents 30% of all U.S. deaths. It lists deaths by place of occurrence, while final statistics are place of residence. It also represents deaths by week a report is filed to the local health department, rather than date of death. Finally, some cities do not submit reports for all weeks. Despite these limits, patterns of deaths reported in the MMWR are often consistent with final statistics, if a large enough group of cities and/or long enough time period are used. Final data for 2011 deaths are released in 2013 or 2014, and are only available for full years. Thus, MMWR data are helpful to make before-and-after comparisons in a year. One age category used by the MMWR is under age one (infants). This is the most likely group to detect any link with Japanese fallout. All humans are affected by radiation exposure, but the fetus and infant are much more susceptible, because of their rapid growth and cell division. Damaging a fetal or infant cell makes it more likely that the cell with divide into more damaged cells before it can repair itself, as opposed to a slower-dividing adult cell. Damaging a cellâ€™s DNA code, as radiation does, makes it more likely that a baby will be stillborn, die in infancy, be born prematurely/at low weight, or be born with a birth defect. 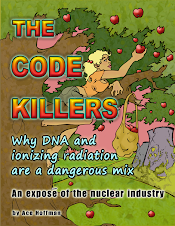 There is a precedent for radioactivity linked with higher infant deaths. On May 5, 1986, fallout from Chernobyl reached the U.S., just 9 days after the meltdown. EPA measurements of I-131 in U.S. milk showed that from mid-May to late June, average concentrations were 5-6 times greater than in the same period in 1985. Several years later, a journal article presented official CDC data showing the U.S. infant death rate rose in the four months after Chernobyl compared to a year earlier (+0.43%, compared to a decline of -4.22% for the other 8 months, an excess of 593 deaths). CDC data confirm the magnitude of this four month â€œbumpâ€ was unprecedented, suggesting Chernobyl fallout may have contributed to higher infant death rates in the summer of 1986 (Table 4). Note: Chernobyl fallout arrived in the U.S. environment on May 5, 1986. Excess Deaths = [0.43 – (-4.22) ] x 12,800 = 593. Source: Gould JM and Sternglass EJ. Low-level radiation and mortality. CHEMTECH, Jan. 1989, 18-21. The MMWR 2011 data show that in the four weeks immediately preceding the arrival of Japanese fallout, an average of 181.5 infant deaths were reported (in 111 cities with full reporting for each week). For the 10 weeks following, the number increased to 185.6 deaths per week, a 2.3% increase, which is not statistically significant (Table 5). Note: Includes all 122 U.S. cities in the MMWR, except for those with at least one week missing data (San Francisco, Duluth, Minneapolis, St. Paul, Columbus, Fort Worth, Paterson, New Orleans, Phoenix, Worcester, Tucson). The MMWR includes 8 cities in the Pacific Northwest, namely Boise ID, Portland OR, Seattle WA, Berkeley CA, Sacramento CA, Santa Cruz CA, San Francisco CA, and San Jose CA. Weekly reported infant deaths in the four weeks immediately preceding the arrival of Japanese fallout and the 10 weeks following are given in Table 6. The average weekly infant deaths for the 8 cities rose sharply from 9.25 to 12.50, a jump of 35.1%. Because a large number of deaths are involved (37 and 125 in the two periods), the change approaches statistical significance at p<.09 (p<.05 is significant). A review of MMWR data shows that the average weekly number of deaths for all other age groups in the Pacific Northwest (and the U.S.) changed little in the periods before and after the arrival of Japanese fallout. Discussion. The EPA increased the frequency of monitoring environmental radioactivity in the U.S. after the meltdowns at Fukushima. The Agency documented higher concentrations in the U.S., especially in late March. However, most measurements of chemicals other than I-131 did not detect radioactivity, and after observing declining levels, the EPA decided to resume its normal schedule of quarterly measurements. Despite these limitations, it appears that the Pacific Northwest received the most Japanese fallout in the U.S. While these levels are much lower than near the Fukushima plant, it is still important to review health status data for unusual patterns. The MMWR is useful for examining very recent mortality data in cities across the nation. A comparison of infant deaths during the four weeks prior to the arrival of Japanese fallout and the 10 weeks following showed a 35.1% rise in 8 Pacific Northwest cities. Finally, the data should be shared with the appropriate regulators, namely the U.S. Nuclear Regulatory Commission, the EPA, and state radiation protection bureaus. Information suggesting that relatively low exposures to radiation from nuclear reactors are linked with infant health problems should be part of the regulatory process. 1. Environmental Protection Agency, Office of Radiation Programs. Environmental Radiation Data. Montgomery AL: Eastern Environmental Radiation Facility. Report 8, April 1977 (hard copy reports with radioactivity in precipitation after China bomb test), and Report 46, September 1986 (radioactivity in precipitation after Chernobyl). 2. Environmental Protection Agency. RadNet, formerly Environmental Radiation Ambient Monitoring System. http://oaspub.epa.gov/enviro/erams_query.simple_query (radioactivity in air, precipitation, water, and milk, beginning 1978). 3. Environmental Protection Agency. www.epa.gov/japan2011/rert/radnet-sampling-data.html#precip (radioactivity in air, precipitation, water, and milk for March/April 2011). 4. U.S. Centers for Disease Control and Prevention. Morbidity and Mortality Weekly Report. http://www.cdc.gov/mmwr/mmwr_wk/wk_cvol.html (weekly deaths by age for 122 U.S. cities). >>Special guests Bob Fitrakis & David Swanson. >>Call in at 1-877-932-9766 from 8pm to 9pm EST. >>Are we on the brink of burying nuke power forever? >>This may be the moment history has turned definitively against atomic energy. >>To be sure: we are still required to fight hard to bury reactor loan guarantees in the United States. There are parallel struggles in China, Indian, England, France and South Korea. >>The great fear is that until every single reactor on this planet is shut, none of us is really safe from another radioactive horror show. >>Thus the moment is clearly marked at Fukushima by three reactors and a radioactive fuel pool still untamed after three months, with the horrific potential to do far more apocalyptic damage than we've seen even to date. >>That image includes Japanese school children being issued Geiger counters to carry with them 24/7. >>And Fukushima's radiation raining down on the United States, with links to reports of a heightened infant death rate in Seattle. >>And by countless other on-going disasters and near-misses at reactors everywhere on the planet. Included is Cooper, in Nebraska, which got zero corporate media coverage as it was nearly flooded and did lose power to its radioactive fuel pool. >> From well-reasoned fear, Japan, Germany, Switzerland, Italy, Israel and other critical players have announced they will build no more reactors. Some will start shutting the ones they have. >>Japan and Germany are the third and fourth largest economies on Earth. Japan has long been at the core of the reactor industry. Germany's economy is the largest in Europe. Some European nations are rumbling about an alliance to shut the reactors among their nuclear neighbors. >>All this could be happening merely in reaction to yet another Three Mile Island and Chernobyl. The corporate media has attempted to induce a coma over Fukushima by simply refusing the cover the on-going disaster. >>But the worsening realities are as utterly relentless as they are terrifying. In the age of the internet, there is simply no way to totally suppress the horror of what is happening to our Earth, especially at its lethal, festering wound at Fukushima. >>But what truly sets this moment apart is not just the radioactive nightmare. There have been others. There will certainly be more. >>What's unique about now is the Solartopian flip side. It is the irrepressible fact that we have finally reached the green-powered tipping point. >>For the first time in history, the financial, industrial and trade journals are filled with pithy, number-laden reports declaring the moment has come---and this can not be overemphasized---that solar power is definitively cheaper than nuclear. >>It is an epic moment that future economic and technological historians will note as a true turning point. >>In real terms, Solartopian technology----wind, solar, geothermal, ocean thermal, bio-fuels, wave, current, tidal, efficiency, conservation---has always been cheaper than nukes. >>The �Peaceful Atom� has always been a creature of subsidies, a happy face painted on the Bomb. Its true health, safety and environmental costs can never be reliably calculated. >>What, after all, will be the true price tag on Fukushima? How do we begin to calculate the costs in human agony and ecological destruction? >>Already Japan is being torn apart by who will pay: the utility (it doesn't have enough assets), the government (it could go bankrupt) or the victims (who else?). The only thing certain is this once-powerful industrial nation will never recover. >>It's no accident the reactor industry cannot get private capital for new reactor construction, or private liability insurance of real consequence, and cannot solve its waste problems without the federal government taking responsibility---which, in truth, even it cannot do. >>The true installment cost of the US reactor fleet can't even be calculated, as much of the liability was dishonestly wiped off the books in the deregulation scam of 1999-2002. >>What we're left with worldwide is 440 uninsured ticking time bombs, potential Chernobyls and Fukushimas, every one of them. There are 104 in the US. The only real question is when the next one will go off and how long it will take to actually hear about it. >>Atomic energy also feeds global warming. Who will account for the enormous heat still rising from Fukushima? How much did Chernobyl spew? Carbon emissions come with the mining, milling, enrichment and ultimate disposal of radioactive fuel, not to mention the building and dismantling of the reactors themselves. >>For yet another summer, nukes in France, Alabama and elsewhere must close because the infernal machines that �fight global warming� must shut shy of heating the rivers they use for cooling to 90 degrees Farenheit. >>What's peaked now, as Fukushima melts and burns and dumps its radioactive poisons into the air and the oceans and the people of this planet, is one financial reality: even with all its subsidies, nuclear power can no longer stand in the market place. >>The first option, of course, has become natural gas, whose price has plummeted. But the gas boom is based in large part on fracking, an unsustainable environmental disaster. Its momentum is huge, but so is its threat to the waters we need to survive. >>In the long term, the future is with renewables. They are often subsidized as well. But the scale is not comparable, and does not fully compensate for the hidden realities of atomic power's uninsurability and its inability to solve its basic waste, health and eco-impacts. >>Were the nuclear industry forced to fully insure itself, or were it charged the true cost of its invested capital, or what it does to the planet and the humans who live on it, not a single reactor owner could afford to keep a reactor running for a single day. >>Small wonder Wall Street has long been more anti-nuclear than Main Street. >>The numbers are now easy to find. WorldWatch has just issued the definitive END OF NUCLEAR by Mycle Schneider, laden with charts, graphs, tables and all the financial data anyone needs to confirm the case. The Rocky Mountain Institute has long had similar material on file and at the tip of Amory Lovins's tongue. >>Now we see Forbes, the Wall Street Journal and the core corporate press conceding the obvious. >>In short, the bottom line has now become the bottom line. Reactor costs have doubled and tripled in the past few years even before Fukushima. Green energy costs continue to plummet. >>The last barrier is that to understand how a Solartopian economy works, you have to be able to walk and chew gum at the same time. >>Base-load power is readily available from geo-thermal, bio-fuels and a broad mix. One does need to balance the various intermittent sources---wind, solar, tidal---to keep the glass full. >>But Fukushima has shown that nukes are also intermittent in the worst imaginable way. >>Any sane for-profit player with the bucks enough to build a new reactor will now put them into renewables. Witness Google, now investing $280 million in a fund for installing solar panels on home rooftops, and millions more for undersea links to offshore wind farms. >>The dream of a Solartopian future has become the capitalist present. Germany and Japan would not be committing to a green-powered future if its large corporations couldn't make a profit. Siemans, Enercon, Mitsubishi, Sharp---their CEOs have run the numbers and decided that nukes are a loser. And that the real profit center for the long-term energy biz is in green power. >>What remains for us is to get the government out of the game. The $36 billion in loan guarantees Obama wants in the 2012 budget must come out. We need to call the White House and Congress CONSTANTLY until this happens. >>Then we need to find a way to get the Chinese, Indians, Koreans, Brits and French to join Germany, Japan and the rest of us in a post-nuclear world. >>How soon this gets done is up to us. Our fervent hope---and greatest incentive---is knowing this MUST be done before the next Fukushima strikes. >>Harvey Wasserman's SOLARTOPIA! GREEN POWER HOUR runs Wednesdays at 8pm EST on www.talktainmentradio.com (877)932-9766. He is senior editor ofwww.FreePress.org and www.solartopia.org. As of June 5, 2011, The Japan Times reported that radiation in the No. 1 plant was measured at 4,000 milliseverts per hour. To put that in perspective, a worker would receive a maximal "permissible" dose in 4 minutes. In addition there are over 40,000 tons of radioactive water under that reactor with more radioactivity escaping into the air and sea. Fuel rods are believed to have melted and sunk to the bottom of reactors 1, 2, and 3. Tepco, the corporate owner took more than two months to confirm the meltdowns and admitted lying about the levels of destruction and subsequent contamination, resulting in "Public Distrust." Over 100,000 tons of radioactive waste are on the site. It's shutdown or meltdown. Take our pick. Nuclear power is losing ground everywhere in the world. Literally and figuratively. Nuclear accidents have permanently poisoned large swaths of northern Japan, having similarly poisoned Ukraine and Belarus 25 years ago, and not to mention Hanford, Washington, the Nevada Test Site, the Savannah River Site, and THOUSANDS of other places around the globe. The latest poll by the uber-pro-nuclear World Nuclear Association indicates less than half the 34,000 people polled in 47 countries favor nuclear power -- a drop of 8 percent since before the accident, by their own admission. And that poll was conducted in late-March to early-April! Undoubtedly, disfavor has continued to increase sharply, as the revelations about the lies are uncovered, and as the reactors continue to smoulder and poison the earth, wind, and water. The World Nuclear News report about their poll adds, with the happiest spin possible that a pro-nuker could put on the situation: "Unsurprisingly, Japan saw the biggest drop in support for nuclear energy, with the number of people in favour dropping from 62% before the accident to 39% afterwards. Meanwhile, those saying they were opposed to nuclear increased from 28% to 47%." Clearly, nuclear power's "popularity" is at an all-time low (along with TEPCO's stock price). It's strange that those of us in America, who have the most freedom to speak out and stop nuclear power, a relatively high education level, and were the birthplace of this global mistake and have more proof that it was a mistake than anyone, actually seem to have the most apathy. But that lack-of-attitude IS changing! Even in -- and in many ways especially in -- the hometowns of nuclear power plants (where all the workers live and the nuclear power corporations have been pouring funds into the community for decades) the nuclear reactors are suddenly being reviled as the tools of death they really are. With this new awakening, it may NOT take a meltdown in America to stop nuclear power dead in its tracks after all! I sure hope it doesn't "require" a trillion-dollar accident, with its hundreds of thousands of deaths over the coming years, and the nuclear industry's hollow talk about "lessons learned" while slipping you the bill for the damage and laughing all the way to the bank. No: Let's not let it come to that. But it's shut down or meltdown. One or the other is inevitable. (3) Is Yucca Mountain the solution? Not bloody likely! (4) Palo Verde's power lines threatened! But with what? (5) Why are you against music? Crook's and Pfeifer's commentary yesterday (6/6/11) about nuclear power missed the boat. Nuclear power is a dying industry because it has to die. If it doesn't, the human race will die -- of stupidity. And please: Don't bother dismissing this letter as the words of a crackpot. Perhaps I am, but they are the words of scientists -- merely parroted, paraphrased, and presented by your humble and obedient servant. Nowhere in your article were the medical issues addressed -- because they can't be. It's the true Achilless' heal of the industry. Every radiation release can kill -- no exceptions. Trillions of lethal doses of radiation have been released at Fukushima. Incomprehensibly-large numbers for a poison which knows no threshold (BIER VII, and many other references confirm the LNT theory, okay?). Some groups of scientists have studied the effects of Chernobyl more carefully than the nuclear industry wanted to. The death toll from Fukushima will be either the largest from an industrial accident in history -- worse than Chernobyl -- or it will be nearly as bad. But either way, the two are in a class by themselves, and this scar won't be healing in Japan, or in Germany which as realized how dangerous their reactors are, or in many other countries that are rethinking their past mistakes. Furthermore, besides causing cancers, leukemia, heart disease, a host of degenerative diseases, and perhaps a thousand other things, radiation -- worst of all -- lowers IQs (hence the final word of my opening retort to yesterday's commentary). Throughout that commentary we are told that what the nuclear industry needs and intends to do in order to gain the public trust is to become more open about everything. Fat chance! And besides, that's what they ALWAYS say! But look at what's happened at Fukushima: Governments and industry colluded to keep from the public the fact that three meltdowns had occurred virtually simultaneously! And you want to build WHAT from that not-humble rebirth (or death) of an industry? A flowering, growing, loved industry? Ain't gonna happen. TEPCO's shares' new low is the wave of the future for nuclear power companies. When viewed from history, the industry IS just one disaster after another, and WILL be stopped eventually. Will it take another Fukushima? Then there will be another -- and another. Such accidents are inevitable (as a careful, jaundiced reading of the Surry tornado event proves, by the way -- or the TVA event shortly before it (I could go on...)). From the still-smoldering (and for another 30 years or so, probably...) ashes of Fukushima does ANYONE really think a nuclear renaissance has a chance? Look at how bad the "renaissance" was to begin with: AREVA, or Toshiba, or whoever, would claim they had sold a reactor in one place, having pushed it through a relatively small first step, just so they can go to another place, another country, and say "look, so-and-so bought one, you should too!" And with bribes under tables and fast talking in back rooms, the deal is made. That's the "renaissance" that melted down at Fukushima -- not a real one. One propped up by donating millions of dollars to candidates who would back the nuclear agenda. One propped up by lies. One propped up by claims the waste problem has been solved, or can be (which would defy the laws of physics). One propped up by billions of dollars in loan guarantees and trillions in insurance fraud (Price-Anderson, and every other country's equivalent Acts (they all have one) is nothing but a fraud perpetrated on the people that their homes are safely insured against a nuclear accident at their local (within 50 miles, even though evacuation plans only go out to 10 and aren't used in the event) nuclear reactor. Nobody reads the fine print. That's the nuclear industry's only hope. cutting off the supply of power from the grid to the US site's two reactors. All over the world people are protesting against nuclear power, getting arrested, demanding their rights. This isn't NIMBYism, it's survival, and the public can see that now. The hordes of people who have lost their homes, and now may die of cancer because of Fukushima, will be very vocal in the coming years, you can count on it. They all know how to use the Internet, and they are very VERY upset. I do believe they will drive nukes out of Japan, and quickly. Not just "No New Nukes" which is a placebo to the people for the nuke industry, with 440 nuke operating "comfortably" around the world. We need the old ones shut down most of all! And we can't just talk about what to do with the waste, we have to really do something effective. But before shutdown, the waste will always be an afterthought. As Mary Olson (NIRS) puts it: "When you have a plumbing problem, you don't go for the mop first. You go for the wrench." Turn the wrench. Shut off the spigot. Close the spent fuel production facilities -- shut the reactors. By the way only one or two reactors in the whole world are set up to produce medical isotopes because THAT'S ALL YOU NEED and in fact, if no reactors were operating, you could probably get the isotopes other ways or use other LESS DANGEROUS methods like MRIs for CT scans and so forth, which are often medically more useful anyway. Never believe a word a pro-nuker tells you. If Fukushima didn't teach the world that, the world need only look at the timeline, it will always be there for all to see. Governments lie. Nuclear power companies lie. People die. I read your article about Yucca Mountain. I have a rather unique point of view about it; I was raised in Nevada until age 13. My father worked at both of the Nevada Test sites, and when I grew up, I married a Navy submariner who, within a few short years, was transferred from diesel electric submarines to nuclear boats. I also worked outside the home, and was for 34 years, a technical illustrator, graphic artist, electronics drafter and oil, gas and nuclear power worker. Twice in that 34 years I worked for companies which built nuclear power plants. At first, I was Pro - nuke. Was proud of my Navy husband and his service, and of the work I did both in aerospace and nuclear power. Worked on many space programs, aircraft, you name it, I probably worked on it. Here's the problem with Yucca Mountain: Beneath it, there is a huge earthquake fault, and below that, a water table. It is only 95 miles from Las Vegas. And it simply is not safe, and cannot be MADE safe. There is also strong evidence of vulcanism at the site. Ancient, but then, so was Pompeii! Further, it belongs to the Shoshone People, from whom it was taken without compensation, and for whom it is held as sacred. Is there ANY treaty with Native Americans we have NOT broken? Besides that, the trains and/or trucks could be sabotaged. Or just sheer dumb luck could come into play: In LA, people died because a train engineer was TEXTING! There are 22,000 train vs. car accidents in the US every year. Some of them are train vs. Semi. One drunken driver, one inattentive engineer - and the consequences are too horrible to contemplate. Further, our railroads are in such terrible shape, it would be foolish to use them to transport the waste. One accident - oh, yes, and we are not insured! Look at YOUR personal insurance policy. You are NOT insured against 'radiation.' And the industry is not well-enough insured against catastrophe. We have come closer to a core meltdown more times in the US, than you could believe possible. I can furnish proof if you want it. Finally, after Fukushima-Daiichi, how much proof do we need that nature can screw us over, anytime? I've never been an 'activist.' But the US will open Yucca Mountain over my dead body! I have ten living descendants for whom I want to leave a clean Earth. Six of them are children under age 10. >Hi: News reports on NBC are stating that the power lines to Palo Verde are threatened. Threatened with what? High winds? Earthquakes? Fires? Terrorism? Rust? Airplane strikes? Tension poorly adjusted? Laser weapon from space? Overheated? Transformers exploded? Switchyard overrun by rodents? Sandstorm? Fleas? Fuel fleas? Metal-eating microbes? Drunken operators? So I am out putting up signs yesterday "Stop SONGS" and a lady walks up to me in San Clemente and says why are you against music? So we had a great talk about the nuclear power plant that she did not know was here.